As preparations begin for the coming 2013-14 La Liga season, the newly promoted Segunda División sides face the unenviable task of competing against some of Europe’s biggest clubs in Spain’s premier domestic football league. No clubs will be more eager to start the season than the newly promoted sides however, entering the coming season with a sense of relish and occasion these clubs will recognise that while the task to stay up will be a difficult one, history suggests that it shouldn’t be beyond them. In the past ten years an average of two out of every three promoted sides has successfully remained in the Primera División in their first season following promotion from the Segunda División. While that should be encouraging to the promoted sides, the enterprise required to stay up cannot be underestimated. Over the next couple of days, El Centrocampista will take a look at these promoted sides and analyse their chances of securing their status in La Liga. The Segunda División’s most consistent side in the 2012-13 season, Elche spent the entire season at the top of the division and were promoted as champions. They began the season under the guidance of a new manager, Fran Escribá, who led the Valencian club to victory in 16 of their first 19 games – a start which placed them comfortably at the top of the table by the midpoint of the season, where they remained till the season’s conclusion. With a defensive record that was unrivalled in the division, they finished the season with a Segunda record 20 clean sheets. ‘Los Franjiverdes’ were a formidable side and dutifully earned automatic promotion to La Liga with a few fixtures to spare – the club’s first taste of Primera División football in 24 years. The season ended sluggishly for Elche however, as they won just two of their final eight fixtures. In spite of their success, they were not without their critics – drawing criticism for their style of play and the often fortuitous nature of their victories. While Elche became renowned for their almost impregnable defence, they scored just a paltry 54 goals – the lowest return among all the sides that finished in the top ten of the Segunda División. While not being renowned for an entertaining style of play, Elche’s success this season is a considerable achievement for a club that hasn’t played in Spain’s Primera División for 24 years and was playing in Segunda B as recently as 1999. With a proficient and commanding defence, the right attacking additions could place them as the best equipped of the promoted sides to survive a season in the top flight. However, the 2011-12 Segunda champions Deportivo de La Coruña were immediately relegated from the Primera in the 2012-13 La Liga season, so Elche should take heed from that example in order to avoid complacency. Fran Escribá had built his side around a strong central defensive partnership of veteran defender Sergio Pelegrín and Xabier Etxeita, the latter of which has since moved to Athletic Club, which will prove a blow to Elche. Jordie Xumetra was another key member of Elche’s championship winning side that has since moved to a now Primera División rival in Levante UD. Such player exits will prove damaging to Elche’s chances of survival. However, Elche have made a number of moves to bolster their squad already in this summer’s transfer window. Miroslav Stevanovic, a promising Bosnian youngster with 7 international caps, has been brought in on loan from Sevilla as a replacement for Xumetra. Meanwhile Mario Álvarez, an experienced central defender, arrives from Real Betis on a free transfer in an attempt to fill the void left by Etxeita’s departure. Likewise Romanian right-back Cristian Sapunaru arrives on a free transfer from Real Zaragoza, an experienced player with Champions League experience he also has the versatility to play as a central defender. 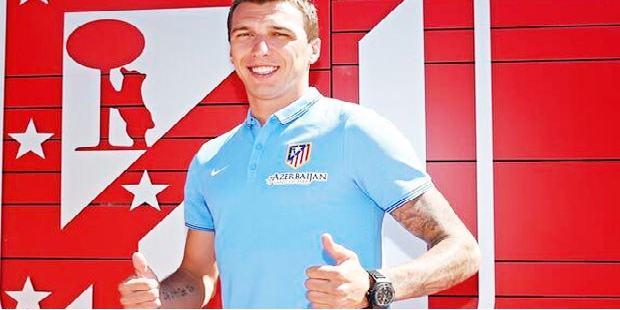 The remaining notable transfers are two loan moves for Atlético Madrid central midfielder Rubén Pérez, and Sevilla’s Manuel del Moral. Pérez is somewhat of a journeyman having already played for four different Spanish clubs while aged just 24, he has demonstrated glimpses of talent, but his consistency has come into question. Manu meanwhile is an experienced player with the pace and trickery to play as a left forward and the versatility to play centrally if needed, he’s a right footed player who favours coming inside from the flanks on his stronger foot towards goal. The Sevilla loanee will be one of Elche’s more experienced forwards and should help to create, and score, the goals that the promoted side were lacking the previous season. The greatest coup for the club however could be retaining the services of the key man of their successful promotion season; Coro, who appears to be staying. Elche’s top scorer with 12 goals, Coro proved key in attack, also finishing with the club’s highest number of assists with 11 passes that directly led to a goal. Coro proved invaluable in Elche’s promotion and will undoubtedly prove himself crucial to the Valencian club’s survival hopes. Elche’s lack of recent experience at this level could prove costly, but given the shrewd additions to the squad with the possibility of more, they should have what it takes to stay up.